Here are some questions to help you decide whether my telephone counselling is right for you. need help sorting through problems? feel stuck or unhappy in your present situation? have a difficult decision to make? need help dealing with difficult or confusing emotions? seek guidance around parenting issues? suffer from anxiety, restlessness, or depressed feelings? feel like you are in crisis and need help managing it? want to learn how to heal past hurts? struggle with chronic pain, illness, or disability? have addictions or habits you need to break? need to reduce stress and learn self care? suffer grief from the loss of a loved one? have issues with disordered eating or body image? have questions or issues of sexual orientation? want to improve your self esteem? have spiritual questions you would like to explore? want feminist or cross-cultural counselling? 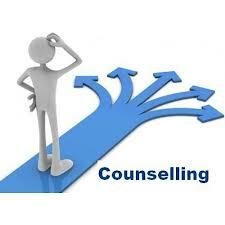 need a therapist after being awarded counselling funding from the Criminal Injuries Compensation Board (CICB)? If you answered yes to any of these questions, my tele-counselling could be what you are looking for. I have helped hundreds of women heal their pasts and discover their unique path to health, peace and happiness. I have extensive experience counselling women from diverse backgrounds individually, in groups, and over the crisis line, supporting survivors of all forms of trauma and abuse.